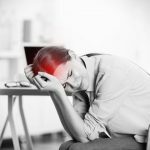 A lot of people around the world suffer from migraine headaches every once in a while, and there are those who suffer from this kind of headache almost every day. Some may be able to tolerate this, but there are also many who are completely incapacitated when they suffer from this type of headache. As a result, many migraine sufferers are looking for more migraine headache information so that they may know the different migraine headache signs and symptoms, as well as the different causes and treatments that would help to alleviate a migraine attack. A migraine headache, first of all, is a type of a headache that manifests as a throbbing type of pain. An area of the head may suffer from a pulsing feeling and the intensity could vary from each person. Due to the insistence of the throbbing, the person may even have nausea and vomiting. There are also cases wherein the person becomes extra sensitive to light and sounds. This is caused by the enlargement of the blood vessels in the brain, which then cause the nerves to release some chemicals. The release of the chemicals triggers the different feelings of a terrible headache such as pain, inflammation, and more. 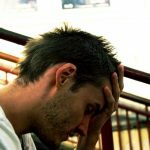 People would often say that they know it is a migraine when the following migraine headache symptoms are present: throbbing pain that may be from moderate to severe in intensity, blurry vision, pain that may be on one side of the head or may transfer to another, loss of appetite, dizziness, and many more. Because of this, many people who experience this kind of headache are very much indisposed whenever the headache strikes. As such, many seek to find the proper migraine headache treatment and finally say goodbye to the pain. There are people who may opt to take some medications in order to get rid of the pain that comes with a migraine attack. However, there are medical professionals that also encourage their patients to follow non-pharmacological treatments. These methods do not make use of any medication or pharmacological intervention, but instead, would focus more on dealing with the condition in a non-invasive way. One migraine headache treatment that has been deemed as effective is sleep. Some people may suffer from a migraine attack because of lack of sleep. In cases like this, sleep is the best treatment. Some people may have a migraine due to the invariable amounts of stress that they receive from different environments. It is essential that these stressors be avoided or be reduced at all costs. There are many different ways to avoid migraine headache causes. There are also a lot of migraine headache causes that could be changed, such as those involving lifestyle. For smokers, it is imperative for them to stop smoking so that they may avoid any further migraine attacks in the future. It takes a lot of motivation in order for a person to go through with any lifestyle changes that will him or her to avoid getting any attacks of migraine headaches in the future. Though there are many migraine headache treatments that make use of medications, many ways likewise exist to prevent the onset of migraine headaches without resorting to the use of medications. People need to learn how to relax and avoid or reduce stress in their lives to avoid further attacks of migraines which then could disrupt their natural routines at work.